Foodies and wine connoisseur’s get ready. The third annual Forks and Corks event is coming Tuesday, March 26th. LANSING, Mich. — Foodies and wine connoisseur’s get ready. 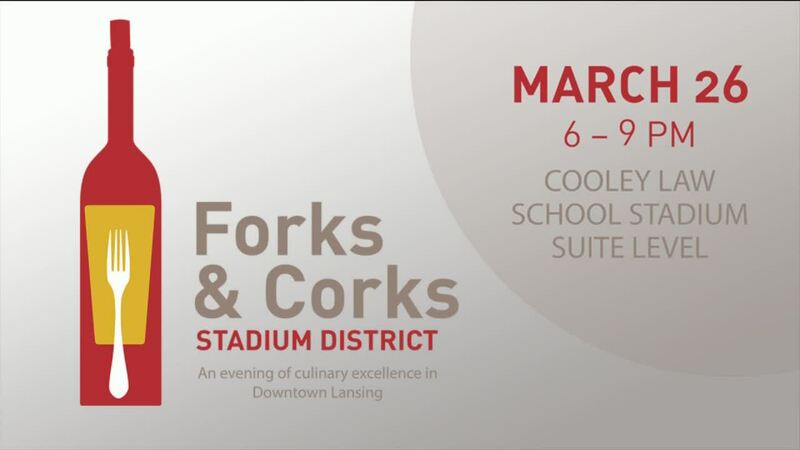 The third annual Forks and Corks event is coming Tuesday, March 26th. Guests will be able to explore the suite level of Cooley Law School Stadium while enjoying live music, food and wine. Tickets are on sale starting today and there are a limited number of VIP spots available. For more information visit the Forks and Corks website .